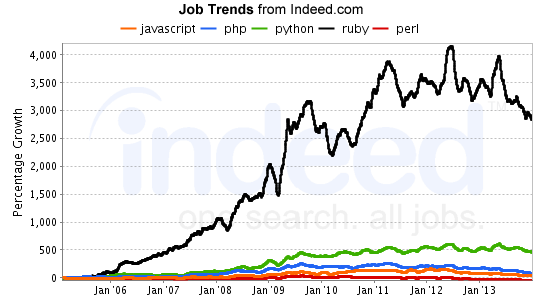 Overall, the demand is similar to the first part of the job trends posts, a slight decline in demand everywhere. 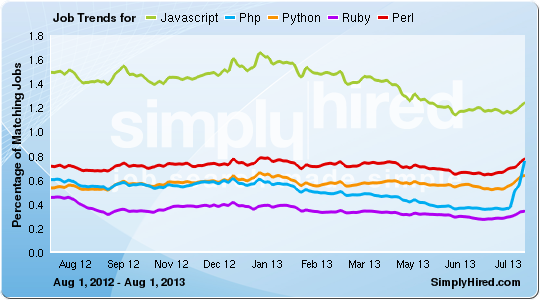 The growth trends for these languages are not great either with the exception of Ruby. 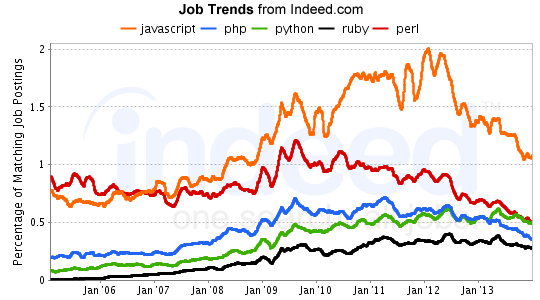 Given that Ruby and Python are still growing significantly, and based on the buzz on blogs, my guess is that these two languages are really starting to make inroads into the enterprise which has typically been the home of Java and C#. Stay tuned for part 3 where we look at some younger languages, and one oldie that seems to never go away.